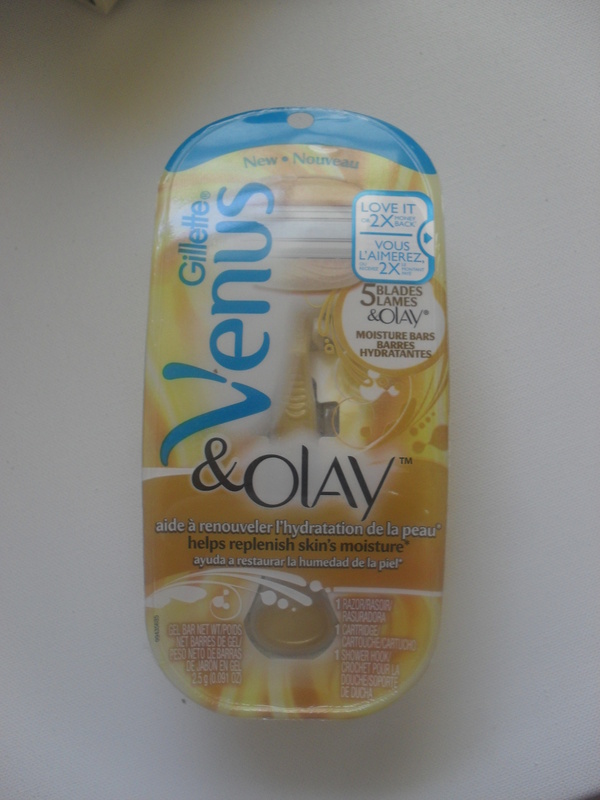 So you may have seen my review of this razor on my previous post about my first VoxBox, but I really loved the Gillette Venus & Olay Razor that I received SO much that I thought that I would post an additional review with some handy links in case you’re debating whether or not to pick up the razor when it hits shelves tomorrow! I always thought that the razors like the Gillette Venus were simply just a really expensive razor (I mean in comparison to disposable ones). And then I tried the Gillette & Olay one. Now I cannot say enough about this razor, first of all, it smells amazing. Second of all, the bars of moisturizer located around the razor blades leave your skin smelling, feeling, and looking amazing after shaving. The great thing about this razor is that you don’t need to apply any shaving cream, and the pivoting head of the razor makes it surprisingly easy to get to all those hard to reach areas. So if you’re looking for a really good razor, or hair removal product definitely pick up one of these at your local drugstore (RiteAid, CVS, Walgreens, or Walmart)- it’ll really cut your work in half and leave amazing results behind! If you’re not yet convinced with my review, you can check out more here on the influenster website. Also you can follow Gillette Venus on Facebook by clicking here, or twitter here. Check out their website for more information. I’ve included a full product description below, so tell me what you think? Are you going to buy the razor? Are you already a fan of Gillette Venus? For the first time ever, Gillette Venus, a global leader in female shaving, and Olay, a global leader in skincare, are coming together to deliver a gold standard in shaving with the new Gillette Venus & Olay razor. Venus’ best shaving technology works with Olay Moisture Bars, offering women best-of-both-worlds shaving and skin expertise. Olay Moisture Bars help lock-in moisture to your skin for less dryness, and with every smoothing stroke, Venus’ five blades shave you close. Venus’ five-bladed razors shave you close and adjust to women’s curves for a smooth and comfortable shave, even over tricky shaving areas like knees and ankles. Olay Moisture Bars contain skin-enhancing elements found in Olay products: Petrolatum helps lock in skin’s moisture for less dryness and Glycerin helps offer that goddess glow! Just wet the razor to release a light lather – no separate shave cream required. A refillable Venus & Olay with one replacement cartridge sells for approximately $8.99-$10.99. Packages of three replacement cartridges are available for about $14.99 – $19.49. Venus & Olay will be available starting March 15, 2012 at food, drug, convenience and mass merchandise stores throughout the United States. Previous Post Lovin’ My Influenster Love VoxBox! Next Post Product Rave: Kiss Nail Dress!